Big box retailer Walmart announced on Tuesday that it will be selling Apple's iPhone 4 and iPhone 5 on Jan. 11, with no-contract plans furnished by cell provider Straight Talk Wireless priced at $45 per month for unlimited talk, text and data. While the $45 flat rate pricing is enticing, Walmart's handset selection will be limited to the 16GB iPhone 5 and 8GB iPhone 4, which are priced at $649 and $449, respectively. 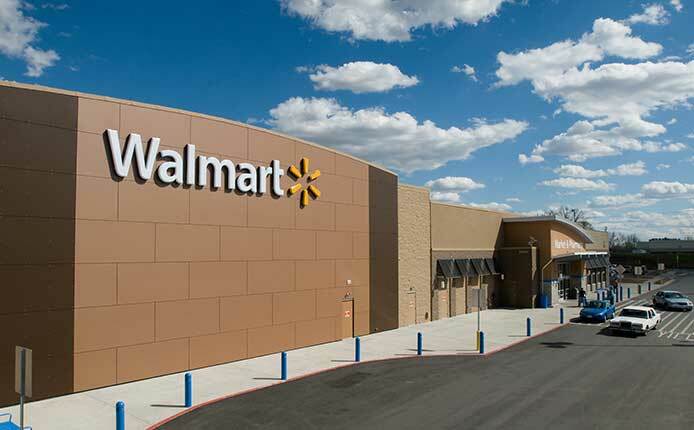 "We believe customers shouldn't have to choose between saving money and having the latest technology," said Seong Ohm, senior vice president of entertainment for Walmart. "Now customers can have the coveted iPhone with unlimited talk, text and data without a contract for $70 a month thanks to our exclusive Straight Talk plan and industry first financing offer." Ohm is referring to a financing program aimed at making the high up front hardware cost somewhat digestible. The program, which requires a Walmart Credit Card, allows customers to pay off their iPhones for $25 a month on top of the $45 unlimited prepaid plan. In addition to the $45 no contract plan, Straight Talk also has a $60 option that adds unlimited international calling to more than 1,000 areas in Mexico, Canada, India and other countries. The program will roll out this Friday at over 2,000 Walmart locations across the U.S. as well as the company's online store.